Seen on the feet of Kendall Jenner while trekking all over Manhattan for NYFW this fall, these Celine Angular Boots will set you back a pretty penny. 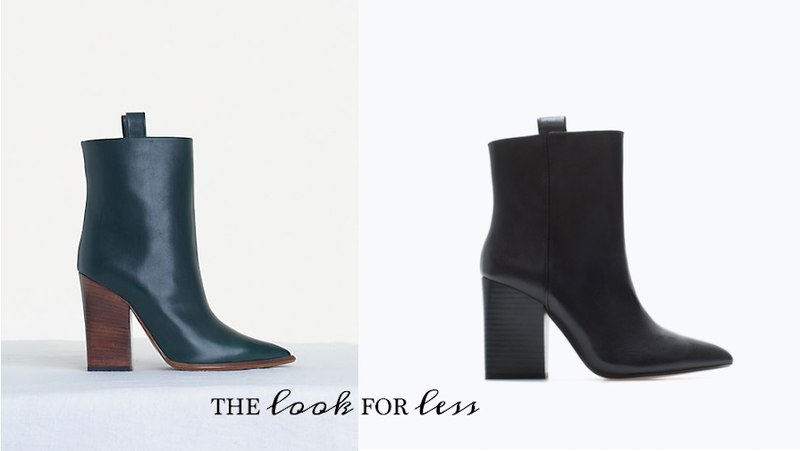 Not all of us have such a big chunk of change to spare for some new (gorgeous) boots for fall! Fear not however, you can get the same look for less Thanks to Zara (or Zeline as called by some Fashion journalists that admire how Zara can create runway looks at high affordable prices). The boots that essentially look the same as Celine's, will only cost you $120 and is available through Zara here. To put the cherry on top, these boots come in a size 5 - very rare for Zara, but that of course means I'm getting these boots for myself as well!